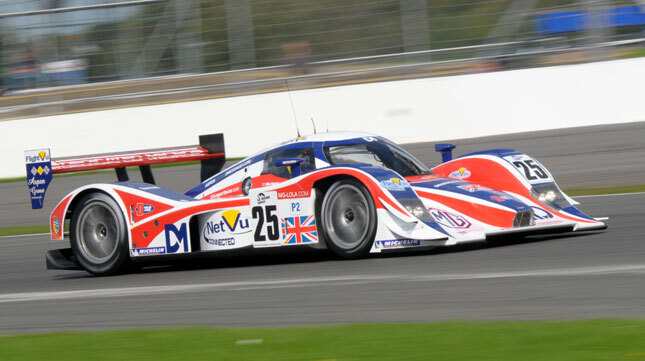 RML AD Group’s new MG Lola EX265 Coupé makes its race debut this weekend in the final round of this year’s Le Mans Series at Silverstone. Just a week after the well-kept secret of the team’s decision to follow the closed-cockpit route broke cover at Snetterton, the car is now in the throes of its first serious test - but on a major international stage and in front of all the team’s rivals. Expectations for qualifying were modest. Two days of overcast skies and poor track conditions had restricted any opportunities for establishing a suitable set-up for running in the dry, but that’s exactly what Tommy faced when he headed out at the start of qualifying. Unlike other teams with established cars, RML could not draw upon the benefit of any previous data, and it was always going to be difficult to achieve an appropriate balance for the new EX265C. Within that context the team was fully justified in feeling that tenth in class was probably as good as could have been expected. Sunday’s race starts at 11:20 am and will run for 195 laps or six hours, whichever is achieved first. There are high resolution images posted in the Silverstone Gallery.